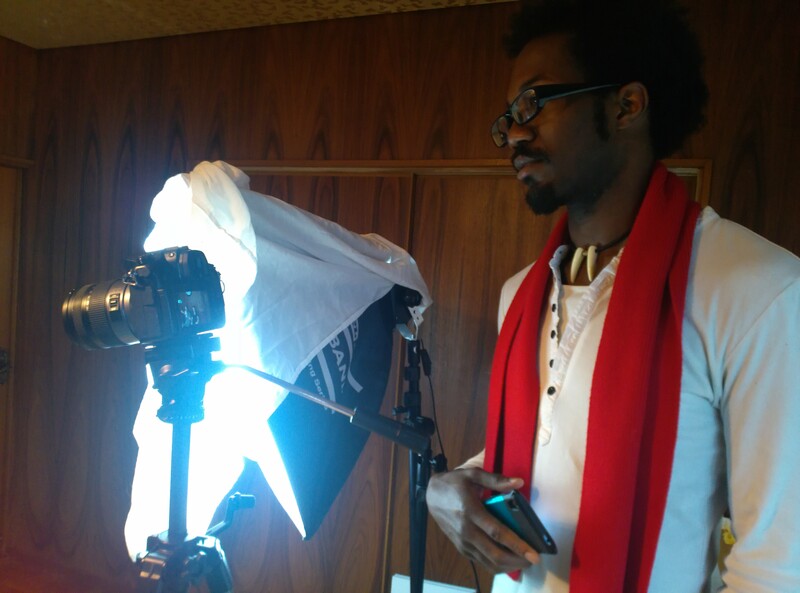 For the first time, Where Next Japan is proud to be hosting a guest blogger: Sulaymane Sillah. Sulaymane is an English teacher from DC, working in Japan 3 and a half years. He’s worked with Peppy kids club, Minerva, Interac and now Kinder Kids. His piece, Silence, reflects the conflicted feelings that many expats experience at some point in their time in Japan. I was invited to the Sakai city 58th annual English recitation contest. I rode over with one of my English senseis, and our little contestant, M-chan. She’s a really sweet 3rd year student. She worked hard for a while, practicing over and over for today, and it was finally here. I kept giving her a smile, rubbing her head like I would my little sister, and kept telling her to have fun. She smiled back, and seemed confident in her abilities to perform. I was proud of my little soldier. She was contestant number nine, which was really good because there were 43. There were two students who were the hosts of the event; they spoke English the entire time, reading from a script. They introduced the principal of one of the schools, as well as each and every contestant. I was very proud of them; they certainly didn’t get the acknowledgement of the accomplishment that they deserved. As the first contestant was taking the stage, it seemed as though no one was going to clap for her as she took the mic. In my heart I was feeling “I can’t imagine how nervous she must be, let’s give her some encouragement.” So I began to clap. Others followed suit. Back in the day it felt good to be the one to “start the clap” and it normally also got into a silly game of who could get the last clap. Once she recited her piece everyone clapped like normal. The next student was introduced and she made her way to the mic. Again, silence. I was like “is everyone remaining silent again? She needs props too!” So I start the clap, others follow and the student begins. When she finishes, she leaves the stage, and everyone claps. The next student is introduced, and the pattern repeats. There are a lot of feelings going on in my head here. One, I am no longer beginning to clap out of the support of the students; at this point I am clapping because if I don’t clap to welcome the student, then no one will clap to welcome the student. I felt that this wouldn’t be fair to that student who showed courage as the others and they needed support as well. Others were clapping because they had received the cue to clap from the lead clapper, aka me. The student saw the support, but the claps were a string of hollow obligations. Student 19 comes to the stage and begins to recite a piece on Anne Hathaway. We give her the applause that we showed the rest of the students before her, and she begins. Suddenly, as she is reciting her piece, she pauses. We all believe that she has just got a hiccup and will begin again. There is a silence that stiffens the room. In my head, I’m thinking so many different things. “Come on girl, you can do it! You can do it!” But my body is still, and I simply stare. She puts her hand to her mouth and we all realize what we feared most; the young lady had forgotten. “Come on girl, you can do it!” At that moment I wanted nothing more than to begin to chant her name, to shout “Ganbare! Ganbare!” But all I could do was sit still. I was drowning in the silence and could not move, nor could I take my eyes off of the sobbing contestant. The bell rang to say that her time on stage had come to an end. It was so sharp and piercing in the deadly silence, as if a single bullet had been fired right through me. The silence during that girl’s speech crippled me. Have I always been like this? Have I never had a voice of my own? Have I always been afraid to be so outspoken, regardless of what people though? As she was on stage, the silence suffocated me, but it also kept me safe. I just had to last 3 minutes, and the girl would be moved off stage, we would clap, and the next contestant would begin. I didn’t have to make a scene, and I wouldn’t have to make others uncomfortable. What if I was the only one to speak out and she still could not remember? How would that make her feel? What if I wasn’t the only one to speak out? What if others had joined me and she still could not remember? How would that make her feel? She worked so hard, had all of this support from the entire room, and she could not deliver? How would that make her feel? These are thoughts that used to never enter my mind. I remember watching a story about a guy who was favored to win a race (in the Olympics? ): the 400 meter dash. Midway through the race, he tore his hamstring. He could barely stand, but hopped his way towards the finish line. His father pushed his way through security to join him on the track. The racer and the racer’s father felt the support of 65,000 people. Cheering, giving him the strength to finish. I remember watching Britain’s Got Talent, and a young boy had stage fright. He began to sing, but suddenly he choked. As he began to cry, the entire crowd roared his name in celebration, uplifting his spirits. With a deep breath and the support of his mother, he was able to continue with his head held high. I was cheering with the crowd in both instances. And yet, when this young girl was before me, her head in her hands and tears in her eyes, I simply watched and waited. Even though in my head, I was there with her, cheering and screaming and giving her hope, she could not hear a thing. All she could hear was the sharp sound of the closing bell, and all she could feel was the blank stare of onlookers. This apparently was the Japanese way of doing thing. Who am I to come in and tell them that their way of doing things is wrong? That is a weight that I keep with me always. But as I try to become less of an onlooker and integrate myself into the society, I feel like I am losing parts of my spirit. This silence is not only in this instance but in so many cases that I can find in Japan. I hate being rude, and I don’t like imposing on people unnecessarily. Would my actions of support have done just that? There is so much I still have to learn as I live here, but at the end of the day I don’t simply want to be a part of the culture. I want to be able to have my own voice, opinions, and actions, and have them respected and treated as equal to the Japanese culture, opening a bridge between my world and this one. I want to be able to look people in the eye, speak my mind, and have people tell me how they truly feel. I don’t want to be silent when my heart is telling me that I need to stand up for what I believe in. I don’t want to be safe in silence anymore.